Did you know that a barista is meant to apply 40 pounds of pressure when tamping espresso? Sure, that doesn't seem like a lot, especially when you can rely on your own body weight to help the process. But then a perfectly sunny Saturday rolls around and there you are, tamping 108 shots of espresso in six hours. That means a lot of pressure, a lot of wrist strength, and some mighty muscular biceps. What better way to strengthen those muscles than take up rock-climbing, right? Well, a couple of our baristas have, and on their mini adventures to the rock climbing gym they came across a very handy tool, the latest item to hit the Pleasant Pops shelves, namely Ever Bars. These high protein, all natural power bars will certainly help you climb a rock wall, make 100 cappuccinos, or simply get through a busy day at work. 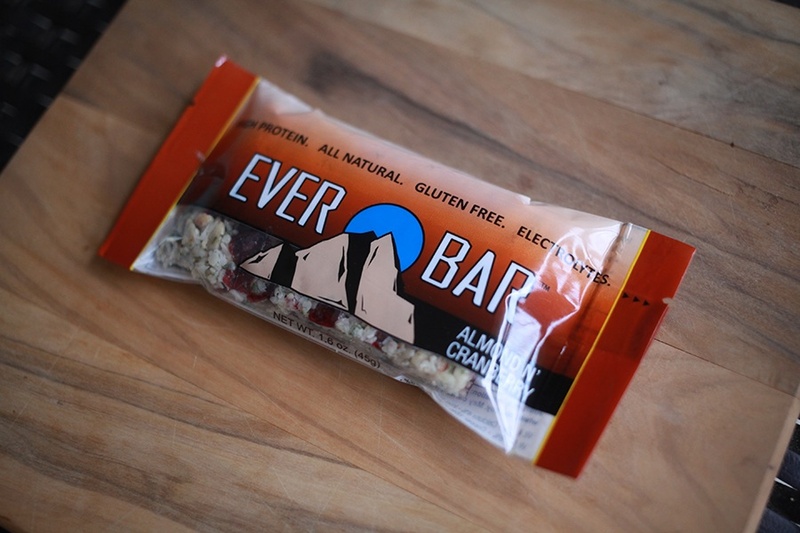 Ever Bars are the newest product manufactured by Livity Foods, a Maryland based company focused on using natural, healthy and delicious ingredients in everything they make. Since 2011, Livity Foods has reminded us that "food is an investment [and that] what a person eats has both immediate and long-term results-it determines energy, mental clarity, length and quality of life" (www.livityfoods.com), all of which is evident in both flavors of Ever Bars. The "Green Power" bar is totally gluten and dairy free, has a base flavor from hemp seeds, with hints of cranberries and toasted sesame seeds. The "Almond N' Cranberry" bar, similarly gluten and dairy free, has a sweeter taste profile focused on toasted almonds, tart cranberries and sweet coconut. Both are totally delicious. One of the most unique, and pretty darn awesome, things about Livity Foods is how much they focus on each individual ingredient they use. Beyond simply listing what natural seeds, fruits and nuts go into their bars, they outline why each component is important: how many grams of protein, whether it's a good source of iron or fiber, even why it's magnesium contents are good for you (helps contribute to bone health!) Though it's packaging (and Pleasant Pops origin story) revolves around climbing mountains, I'm pretty positive we could all benefit from munching on one of these Ever Bars from time to time. My biceps, on their way to a summery weekend behind the espresso bar, would certainly agree!